You do not want to miss out on an amazing performance by one of the most celebrated troupe of performers Branson has ever seen! 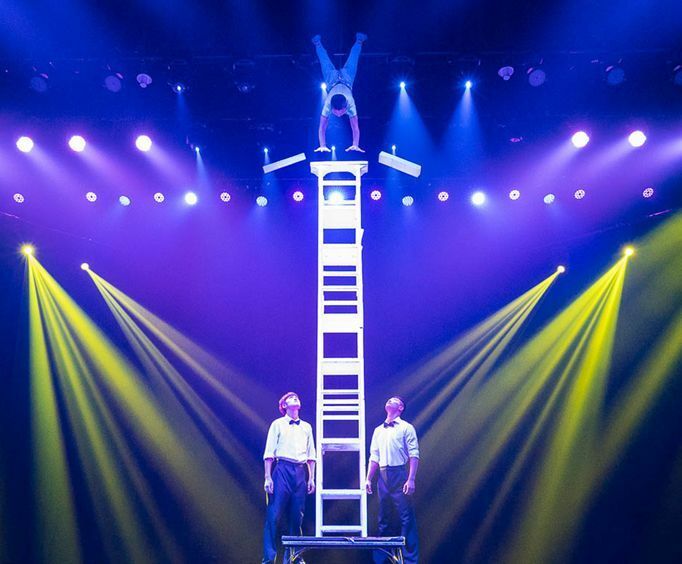 These talented acrobatic performers, now at the Mickey Gilley Grand Shanghai Theatre, bring fantastic flexibility and feats of strength with them to the stage. 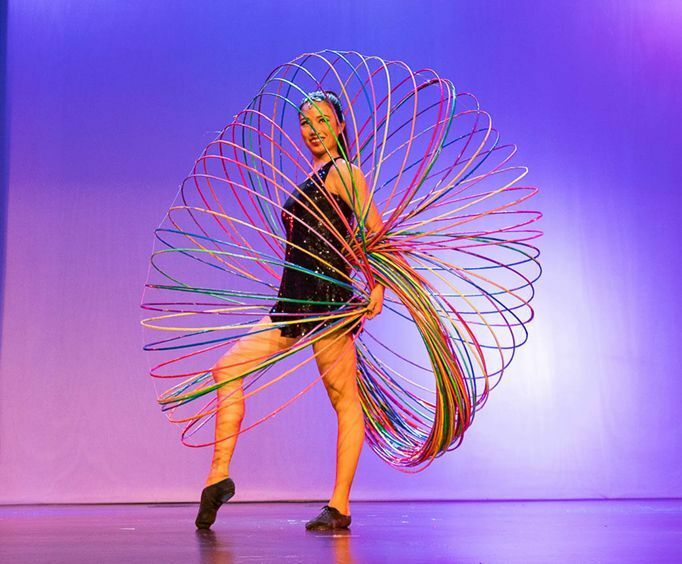 Audience members will be awestruck at the stunts they will see in action, including chair balancing, yo-yo tricks, foot juggling, aerial acrobatics, hula hooping, balancing tricks, and even some bicycle tricks. The entire family is sure to be entranced; with so many acrobats flipping and flying through the air and donning colorful costumes, it’s hard to look away - and you will not want to miss a moment of this! Along with the amazing strength and coordination that these acrobats will display, guests will experience state-of-the-art sound and lights as well in addition to beautiful costumes and stage settings. The elaborate costumes are hand-crafted to give a traditional flair to the performance. This world-class show is one of the best attractions in the city and an audience favorite; and for good reason. Every moment of this display allows guests to enjoy something new, unique, and inventive. Experience dramatic interpretations of a fearless journey and other traditional tales while watching in awe as these acrobats fly through the air. The backdrops, the music, dance, and elaborate costumes are all beautiful and are sure to come together to provide one of the most memorable performances you will ever enjoy. The troupe of acrobats is a unique combination of amazing performers who each bring their own style, tricks, and talents with them to take circus style acts to the next level. The thing that makes this performance so special is the amount of hard work and dedication that these performers put into their act. Each of them brings an amazing passion with them, and it shines through in the effort they put in to make every show better than the next. Watch as young kids are tossed into the air, juggling acts come to life, and see something inspiring night after night with these acrobatic acts. The audience is sure to be left on the edge of their seats! Celebrate the holidays in style with the Amazing Acrobats of Shanghai. The Christmas season sees a wonderful array of aerial acrobatics and holiday cheer. The first half of the Christmas show is the regular show, followed by two Christmas-themed acts. Witness amazing unicycle performances and a juggling act while singing Christmas songs! You can also ring in the New Year in style with an unforgettable performance which is better than any fireworks New Years Eve celebration! These special event performances make sure there's spark and fun throughout the year, so no matter when you see the show, you are bound to have an amazing time. This show is one of the best tourist attractions in the city, and is Branson famous for a reason! For art lovers, the gift shop at the Amazing Acrobats of Shanghai show is a must-have stop. After the performance, head to the gift shop to pick up some unique souvenirs. Featuring in-shop artists, the gift shop is full of beautiful pieces and the artists are capable of creating personalized gifts and art as well. Whether you want to pick out something for that special someone or treat yourself to a unique trinket, the gift shop has plenty of things to choose from. You won’t find these fine crafted pieces anywhere else either, so do not miss out on the opportunity to find something unique. The Mickey Gilley Grand Shanghai Theatre has held many of the celebrated Branson shows throughout the years. Known for the Mickey Gilley & Johnny Lee Urban Cowboy Show, this theater is also the home of the Amazing Acrobats of Shanghai. The Grand Shanghai Theatre can be found at 3455 West 76 Country Boulevard on Branson. Its convenient location is right on the Branson famous 76 Strip, allowing guests to easily access the theater and enjoy everything that the city has to offer. Head to an amazing live show at the Mickey Gilley Grand Shanghai Theatre to witness, in person, amazing aerial acrobatics at the Amazing Acrobats of Shanghai show. This amazing performance art blends together elements of kung fu and inventive tricks set to backdrops of stories of historical significance and wonder. 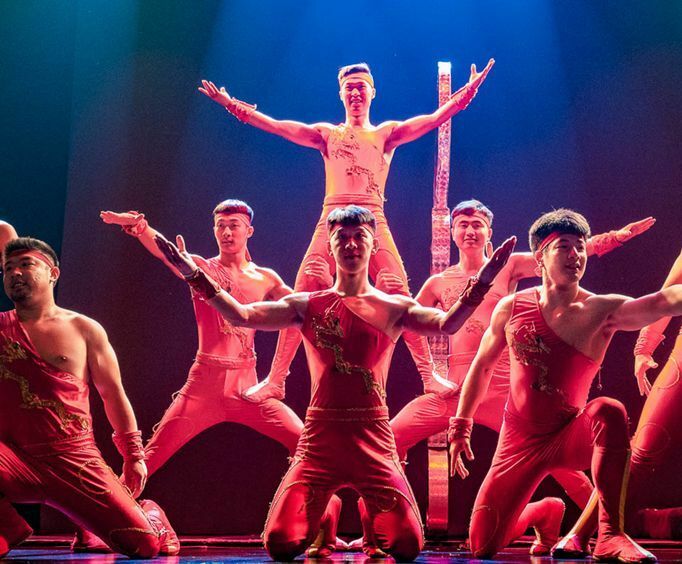 See why the Acrobats of Shanghai is one of Branson's most celebrated attractions the next time you are in this Ozark Mountain city. Approximately how long is the Amazing Acrobats Of Shanghai ? The show is held at the Grand Shanghai Theatre. 10 min pre-show begins 15 minutes before the show. Do the performers of the Amazing Acrobats Of Shanghai sign autographs and meet the audience after the show? Yes. After the show, the acrobats will come out to the lobby for autographs and photos. What is the length of intermission at Amazing Acrobats Of Shanghai ? The intermission lasts approximately 15 minutes. The tricks they did was truly amazing. My daughter is a gymnast and said they were really incredible. She wanted to see it again.